India's 2nd Leg of AFC Asian Cup Qualifying Play Off against Laos to be played on 7th June at Indira Gandhi Stadium, Guwahati has finally got a broadcaster. The match that will kick off at 07:00 PM will be shown live on DD Sports. 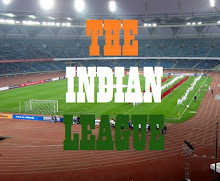 The match will also be streamed Live on AIFF's Official website, www.the-aiff.com. This news will surely lift up the spirits of Indian Football fans who were disappointed after there was no Live Telecast of the away leg of match in which India defeated host, Laos by a solitary goal thanks to Jeje Lalpekhlua. Some fans scavenged through internet to get live streams while most had to depend on Twitter and Facebook for live updates.